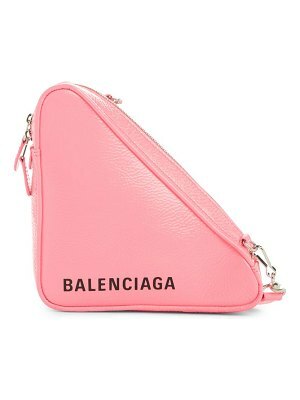 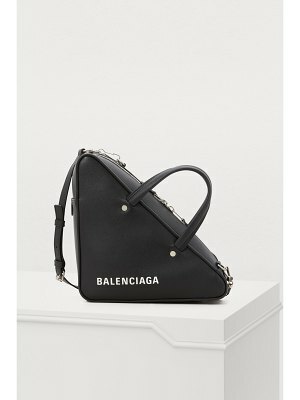 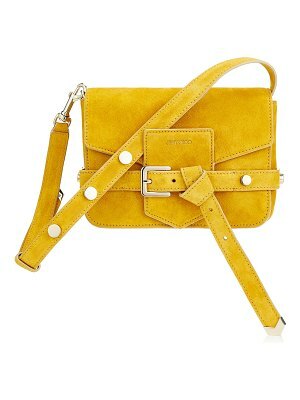 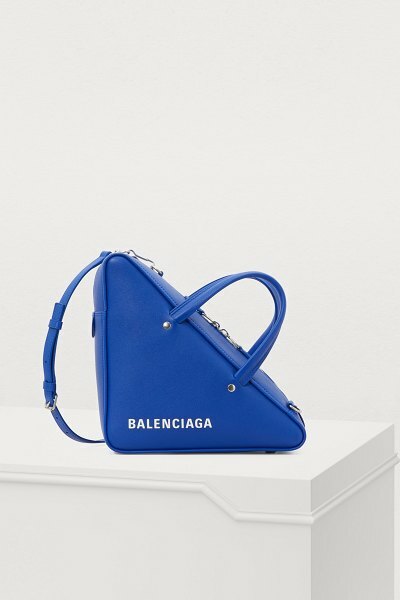 Demna Gvasalia's contemporary approach for the Balenciaga brand is displayed in this "Triangle" S crossbody bag. 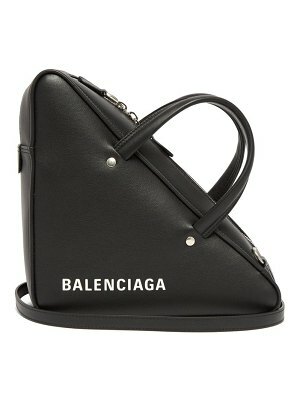 The bag, in an original triangular shape, features the fashion house's logo revisited in an urban-inspired type face. 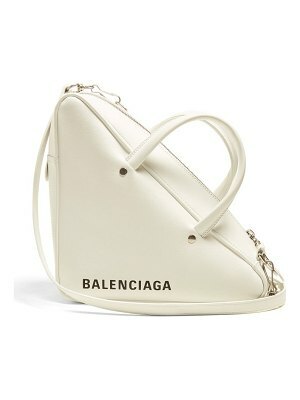 Two handles and a strap finish off this atypical design. 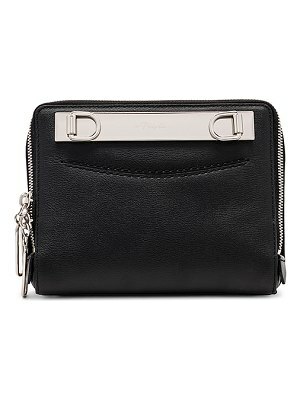 Put together a modern look by pairing it with a flowing dress and stiletto-heeled boots.